An advanced optical performance and 3.5-stop image stabilization deliver clear images across the zoom range. 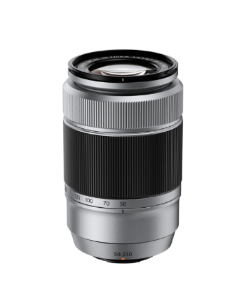 This is a compact and lightweight telephoto zoom lens that offers zoom magnification of 4.6x, and covers the widest range of focal lengths in the series, equivalent to 76mm to 350mm in the 35mm film format. Its advanced optical performance across the entire range captures even distant subjects with great clarity, plus the image stabilization function minimizes camera shake. The use of a stepper motor enables smooth autofocusing.